Pivotal Health and Fitness was established in 2005, operating out of a local gym. In 2010 Pivotal Health and Fitness shifted it's focus to studio personal training and has since been located on Poath Road in Hughesdale. 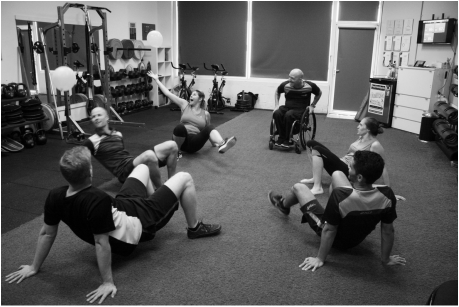 Studio personal training has given Pivotal Health and Fitness the freedom to move away from the treadmills of a traditional gym and specialise in progressive training movements that promote the freedom of movement and the longevity of your body. We pride ourselves on building lasting relationships with our clients, and for many of them, training at Pivotal has become a family affair. Empowering individuals to listen to their body and incorporate movement as part of their everyday lives. Every body is unique and each individual has a preferred way of moving. We will help you uncover your Movement Style and guide you as we embark upon the journey of reaching your personal goals. Your Trainer’s Responsibility to You. To asses your individual needs from the first session and continually through your health and fitness journey as your body and lifestyle changes through life's natural progression. To immerse themselves in professional development in order to give you the best possible developments and guidance in promoting the longevity of your body. To respect your body, mind and spirit as each element is equally important in achieving your personal goals. To hold you as their sole focus throughout your session. What you can expect from Personal Training. When you move with Pivotal you can expect to be met where you need to be met. Based on your goals and current level you will be guided through a program with the right level of enjoyment and challenge to meet your needs. You can expect guidance through your weekly routine to compliment your training sessions and develop realistic short term goals based on your individual lifestyle and day to day commitments in order to work towards the bigger picture. What you can expect from Pivotal Health and Fitness. At Pivotal Health and Fitness you can expect to be greeted by warm and welcoming professional trainers who put your needs first. Feel free to take off your shoes as you move around our grassed area and discover your training style. You can expect to be invited into a training community with opportunities to join the Pivotal Team for fitness and community events throughout the year. With strong networks within the fitness industry you can expect to be engaged in current developments and leading information.